With locations in the United States, Taiwan, Japan, Singapore, South Korea, Australia and more, Ding Tai Fung has rapidly captured the attention of soup dumpling lovers across the world. Din Tai Fung-fervor has become so epic, that 400 people waited in line for the opening of the Din Tai Fung in the Bay Area in May 2016! 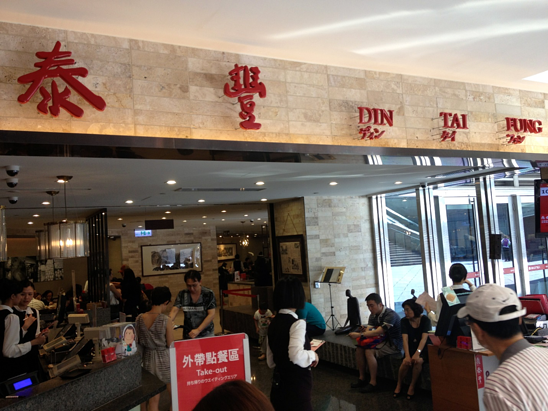 If you have not yet heard of Din Tai Fung, you must be wondering why it is such a big deal. In this post, we uncover the secret sauce behind Din Tai Fung’s insane popularity and deliciousness. 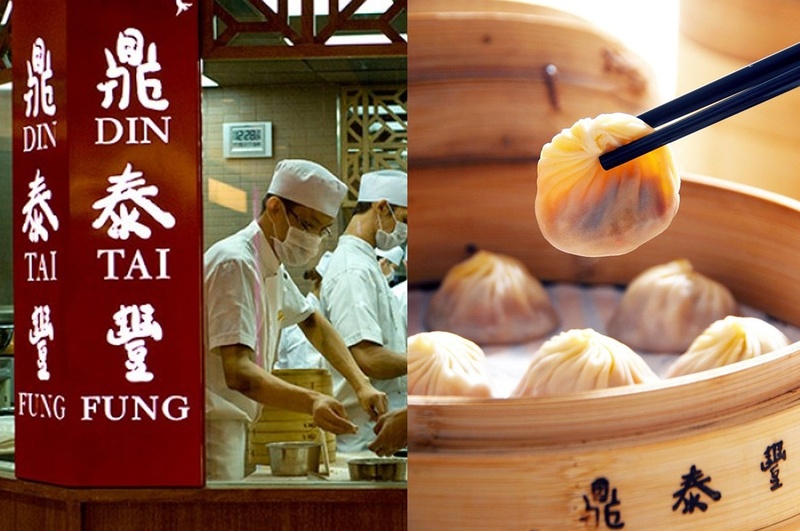 The restaurant set itself apart through its commitment to friendly service, supreme attention to detail and cleanliness, and impeccable array of food – soup dumplings, noodles, vegetables, and steamed buns.Even long-time Din Tai Fung fans might not know that the restaurant was originally founded in Taipei by Yang Bingyi as a cooking oil business in 1958. When consumers began switching to canned cooking oil, the shop struggled financially. Yang and his wife, Lai Penmei, turned half of the shop into a steamed soup dumpling (xiao long bao) business in order to survive. The dumplings were such a hit that the store stopped selling cooking oil altogether transitioned into a full-fledged restaurant in 1972. What makes Din Tai Fung so unique? 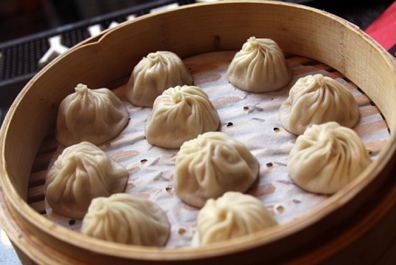 There are hundreds, if not thousands, of xiao long bao eateries all over the world, but Din Tai Fung is the first to become a recognized brand. What makes Din Tai Fung different? No matter which branch of Din Tai Fung you go to, chances are, there is at least an hour’s wait before you can be seated. You can’t help but build up a ton of anticipation for the famous soup dumplings as you wait, and the waiting period certainly builds up your hunger, making the soup dumplings even more delicious when you finally sit down to taste. 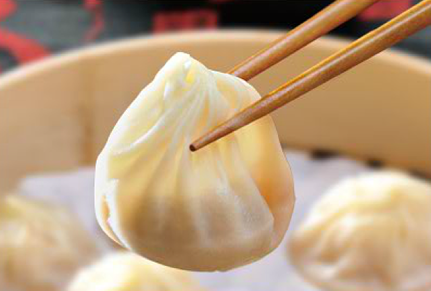 Soup dumpling is traditionally a food sold by hawkers or street-side restaurants, but Ding Tai Fung elevated the experience of eating xiao long bao, making it elegant and refined. Each Din Tai Fung restaurant is artfully designed with impeccable service. There is always a fresh pot of hot tea waiting at the table, and every item is delivered with a smile. If service comprises a large portion of the dining experience, Din Tai Fung definitely wins all the points on that front. Adding on to the overall elegance of the dining experience, the xiao long bao at Din Tai Fung are a lot more delicate and smaller in size than the typical soup dumpling. The smaller size allows diners to easily devour the dumpling in one bite, avoiding the potential messiness of a soup spillage. In addition, the thinner skin of the delicate dumplings allows the flavorful soup to burst onto the tongue, delivering a powerful punch of flavor without being weighed down by the dough. Lastly, the soup dumplings at Din Tai Fung goes through a serious quality control process, making sure that each and every one lives up to the famous Din Tai Fung taste. Xiao Long Bao is the original menu item that made Din Tai Fung famous, and you would certainly be missing out if you skipped on a basket of these delicate dumplings. The skins of dumplings are so thin that they are almost translucent, giving eaters a sneak preview at the juicy, meaty filling. There are three variations available on the American menu: Pork (hearty, savory), Pork and Crab (umami, my personal favorite), and Truffle and Pork (rich, funky). There are seven types of sautéed greens on the menu– some of which are suspiciously influenced by American food trends (sautéed kale?). 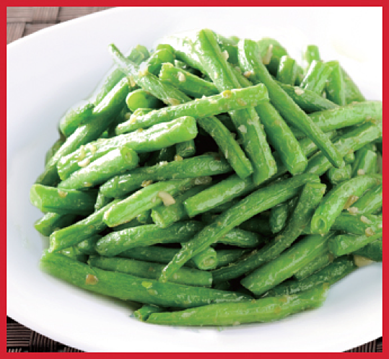 However, the three most traditional vegetables are the string beans, spinach, and bok choy. The quick stir-fry technique preserves the lovely green color of the vegetables, while a sticky, corn-starch-heavy garlic sauce coats the greens in flavor. Yum! Originally a street food, steamed buns have made it to the tables of many upscale restaurants in recent years. 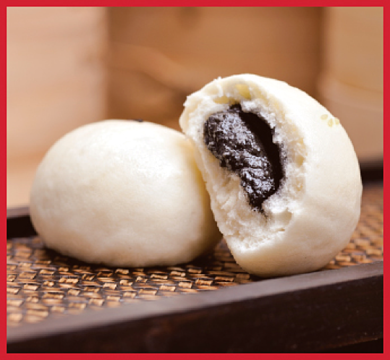 The pork bun and vegetable and pork buns are savory filling options, while the sweet buns (red bean, sesame, and taro) are perfect if you favor desserts that are only lightly sweet. Depending on where you learned and how you were taught, there may be endless variations of techniques for eating xiao long bao. Eat the dumpling (soup included) in one bite! People have some pretty strong opinions on the “proper” techniques to eat xiao long bao, but as long as delicious food is being transported to the mouth, is there really a wrong way? 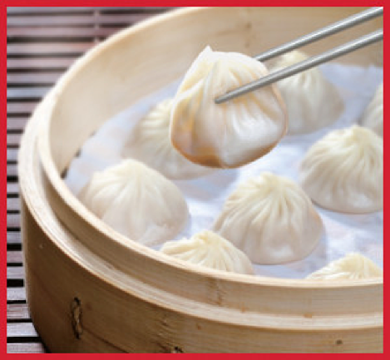 Are you hankering for some xiao long bao from Din Tai Fung after reading this post? What is your technique for eating them? Let us know in the comments below!